With winter in full swing most animals have settled in and made themselves comfortable, some in the trees and ground holes but others have chosen homes and businesses to keep them warm. 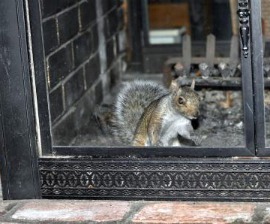 In New England squirrels and raccoons are finding comfortable spaces for the arrival of their young in the next month and birds are looking for new nesting locations after this winter storm destroyed theirs. One of our most common calls... "I have something in my chimney"
preventive services & chimney cap installation, to protect your home. 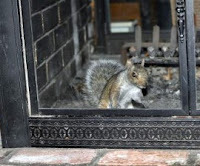 Eliminate the possibility of critters and debris getting into your chimney. Our chimney caps come with a written lifetime warranty and do not inhibit the flow of your chimney in any way. Chimney caps can prevent small animals and birds from entering the chimney but they can also prevent rain water from penetrating into the chimney and eating away at the mortar and bricks, sometimes leading to musty smells within the home. If you don't have wildlife let us help you keep it that way! Go outside take a look, do you have a chimney cap? Something you likely haven't thought about before. 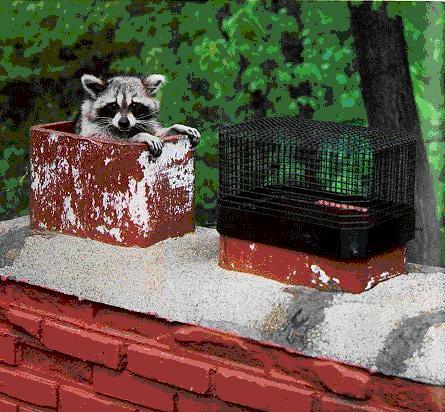 Every chimney should have a cap not solely do to critter invasions but improper drafting, water entry and debris build up can also be prevented with a cap install. Preventative repairs, chimney cap installation, trapping, removal & more.